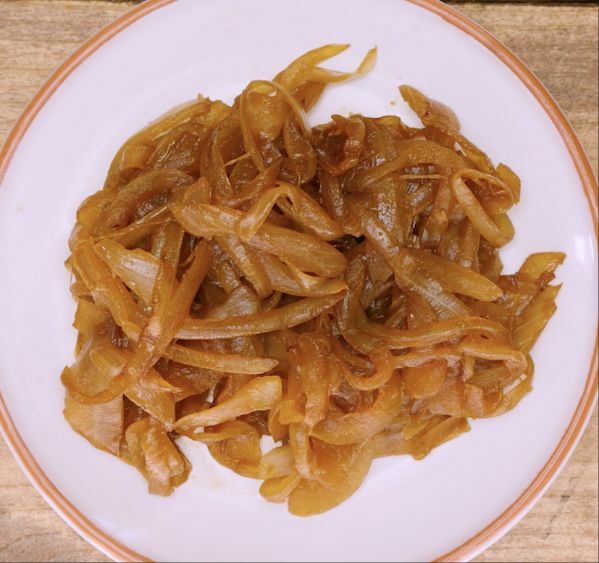 Just about every recipe found for caramelized onions offers a description of a 40- to 45-minutes process. And let's be honest, nobody wants to waste 45 minutes of his or her life sautéing onions. Prepare to get excited, because there's a cooking hack that greatly reduces the time it takes to do this. What's the key to reducing cooking time? Baking soda! Add baking soda to the onions to save approximately 30 minutes (yes, seriously) of cooking time. Before grabbing the baking soda and running off to the kitchen, a word of advice: Remember to sauté the onions on medium-low heat; cooking on high heat will burn them. 1. Place an onion on the cutting board. 2. 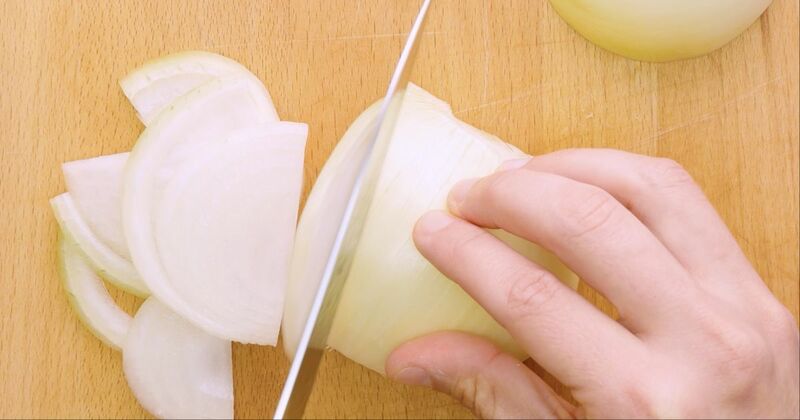 Cut off the top and bottom of the onion using the chef's knife. 3. Peel of the skin of the onion. 4. Cut the onion down the middle, and cut the two halves into thin slices. 5. Place the slices of raw onion in a mixing bowl. 6. Coat the bottom of the sauté pan in olive oil. 7. Heat the pan on a medium-low setting. 8. Add onions to the pan, and mix with a wooden spoon to coat the onions in olive oil. 9. Add a pinch of baking soda to the onions, and mix thoroughly with the wooden spoon. 10. Continue mixing the onions every minute or so, until the onions have cooked for eight to nine minutes. 11. Remove the pan from the heat as soon as the onions display a golden color. 12. Transfer onions to a mixing bowl and serve. Coconut oil is healthy and delicious! But it can be tricky to cook with. Know these tips so it never trips you up in the kitchen. While scrambled eggs are simple, there are a few steps in getting them just right. Follow these tips, and you'll get perfect scrambled eggs every time.